We are a small family run business offering friendly, efficient service with our professionally chauffeured modern fleet of wedding cars. Whichever car you choose you will benefit from the excellent service we have to offer. We endeavor to make your memorable day that little bit more special and would love to be a part of it. At Hull wedding cars we understand the importance of your special day and feel planning is key! which is why prior to the date of booking we plan each individual route and ensure your journey is perfect. We also drive each route to ensure we can overcome any problems that may present on the day. With our regularly serviced and maintained fleet we can offer reliabilty and to this day we have never failed in getting a bride to the church on time! The interior of our wedding cars have white and ivory silk flower arrangement placed on the parcel shelf and will be valeted to immaculate standards for your day. The exterior of the cars are Washed, waxed and polished in house and are decorated with coloured ribbons and bows of your choice to match the colour scheme of your wedding. After the wedding you and your loved one can enjoy a relaxed leisurely drive to your reception, with a glass or two of chilled Non alcoholic sparkling wine, provided with our compliments. All of our wedding cars will look fantastic in your photos. Our chauffeur will work with your photographer on the day to angle and place the car in the best position for the best shot. Please Contact us for a quote and to check availability for your wedding day. 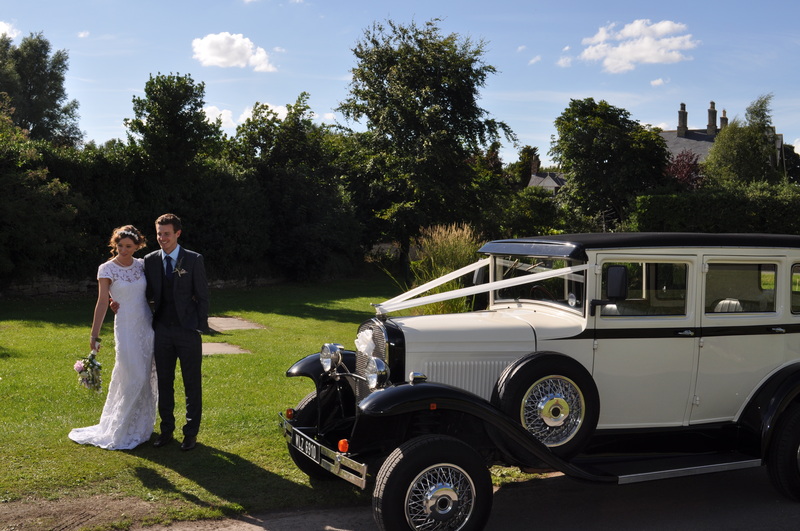 Hull Wedding Cars is a small family run business that opened in 2010 and has served hundreds of happy couples wedding transport on their special day. Our Wedding Car fleet covers all tastes, from our quirky beetle to our vintage Bramwith Barnsdale we will be sure to have something to suit. If you require a limousine for your bridesmaids we work alongside many companies who can provide a range of 8 seaters for your wedding, We also have contacts in coach hire for transporting your guests from the ceremony to the reception. Please just contact us for more information. We aim to reply to all email enquiries within 24 hours and our telephone lines are open 8am - 8pm where one of our team will be happy to help and answer any questions. In any emergancy or last minute change to itineraries then please use the mobile number displayed on our contact page and some one will be certain to answer.